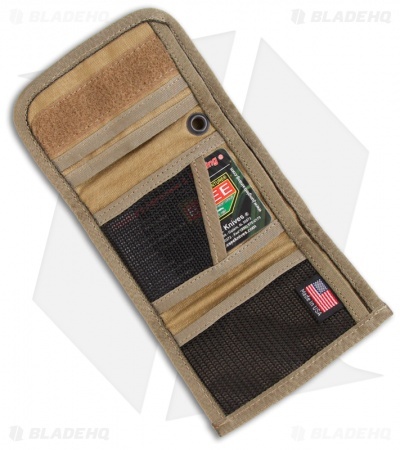 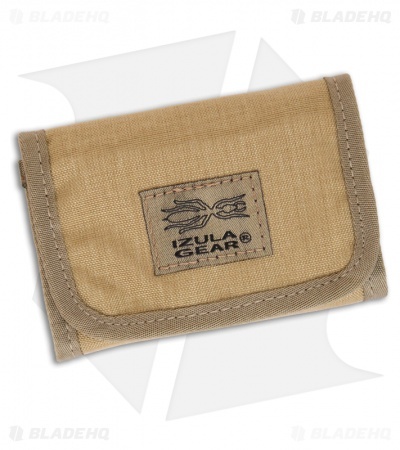 The Izula Gear EDC Wallet from ESEE Knives is a tri-fold money wallet with five storage pockets for money, credit cards and other items. Tough 500 denier Cordura construction. Made in the USA exclusively for ESEE Knives. The EDC Wallet measures 3-1/4" x 5" closed and 9-1/2" x 5" open.